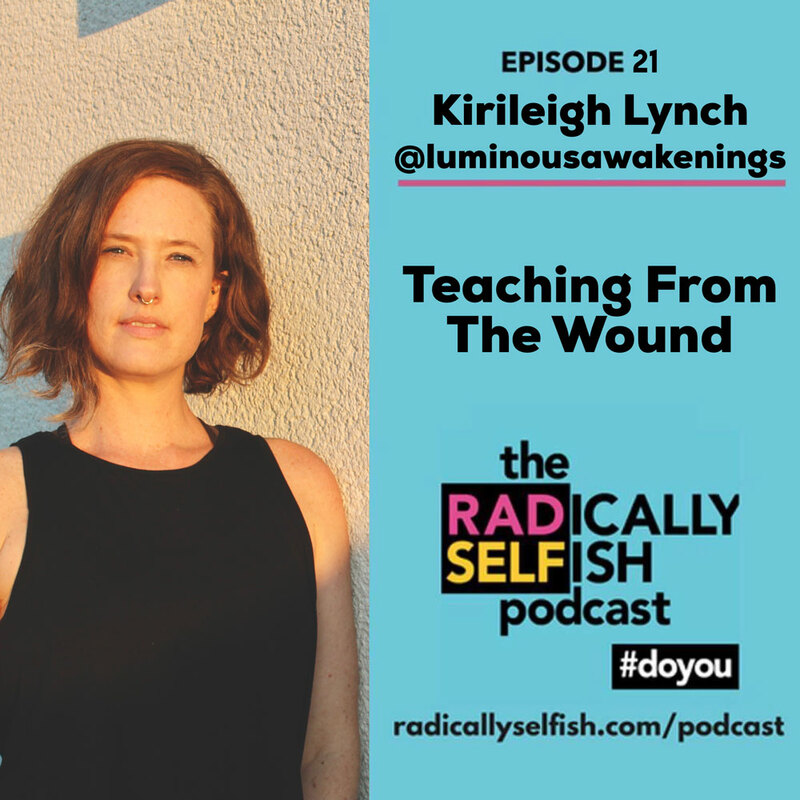 This episode is close to my heart, as a conversation with close friend and inspiration: Kirileigh Lynch. Kirileigh is an energy worker, intuitive, and yoga teacher working specifically with women, who literally lives the Eat Pray Love lifestyle. Yes, those are roosters in the background because she is in Bali. As of the recording of this podcast, Kirileigh is 51 weeks into traveling with nothing but a backpack. When I met Kirileigh in Berlin years ago, she was married and teaching yoga full-time. But eventually, despite having students who looked up to her and everything seemingly “together,” she realized she was in desperate need of change. Kirileigh realized she was in a relationship that wasn’t serving her anymore, and at first was hesitant to do anything about it. Change isn’t comfortable after all. It took two Ayahuasca ceremonies and a lot of self-compassion, but she eventually gave up all her worldly possessions to travel and embrace her new calling: energy work. And now? There’s no spiritual bypassing with Kirileigh’s work. She helps women connect with the inner truth that we are worth it, even if we forget. She teaches that we are all connected, and helps us connect with the contentment we can experience once that is internalized. This one is juicy. — Sometimes we get messages in life that show us a better path, but as humans it can be hard to get out of our own way. When you hit rock bottom, or become sick of the pain, that can be a great catalyst into a brighter future. — When you feel wounded, self-compassion and acceptance can allow you to help yourself and others. — Start where you are, use what you have, and do what you can. Everyone wants to get instant results. Staying slow is an art and takes practice. — We live in the real world. Not everything will look good on social media. — Intuition isn’t always comfortable or convenient. — Hearing is one thing, but being able to deal with something uncomfortable is another. Going slow helps in the transition. — Micro-changes can invite adventure and freshness into your life, without changing everything you know. — If you find yourself struggling to make a change, even if you know you need one, start by cultivating a relationship with your Self. Acknowledge and give your problems space. Connect with like-minded people. Share Kirileigh’s Wisdom on Social Media!